There are many certifications and ways to become a certified personal trainer but some require more work, cost and time than others. These certifications all have text books that can be purchased online to prepare for the personal trainer test. We have broken down the most notable ones in Canada to take away the homework in researching them. We have also ranked them in order of reputation, quality etc (see the bottom of this pagefor the complete list of how we rated these). This is an intense written and practical exam. Must have a B.A., Bsc or in medicine from a university, or collage. 2 year education at a college or university that addresses the CSEP-CPT core competencies. Must have a 4 year degree in Human Kinetics or Kinesiology to be eligible for the CSEP-CEP certification. They designed this especially for Kinesiologists. The following eligibility requirements have been adopted for our Personal Trainer certification exams. *Note:Â Effective January 1, 2009 all new and renewing ACE-certified professionals in the U.S. and Canada must hold both a current CPR and AED card to sit for or renew an ACE certification. This is a 5 part course. Basic Theory, individual conditioning, program design, cpafla, and personal training.Â Cost: $400 Canadain (members)Â Time commitment: 5 courses, each 2 weekends long. This certification has a practical and a written component. Visit the above to attain the manual required to complete this certification.Â Time commitment:Â 2 weekends (25 hours). + studing. CanadianÂ Time Commitment:Â 1 weekend. Requirements: 18 years old, high school diploma, current CPR with practical skills component. Pre-requesties: CFES Weight Training Instructor Certification, Classroom Course (40 HRS) PT Practicum (20 HRS), PT Exam (1 HR), Skills assessment, CPR-A Minimum and First Aid, liability insurance. This course is a 6 month or 12 months (part-time) intensive class like structure and are taught physiology, anatomy, business practices and 200 hours of gym training. Hands on training is also included. Cost: $6,300 Includes the registration fee, text books, CPR/AED and First Aid certifications and covers the entire 500-hour program including your gym membership for the duration of the program. 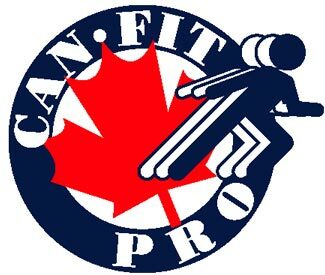 If you would like to protest MYFIT.ca Ranking'sÂ Contact Us. 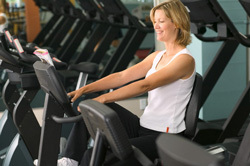 Reputation is extremely important in a personal training certification. Why would you get a certification that wasn't recognized by everyone? A quality certification will ask for a certain level of understanding before taking the course or have a level system in place. Cost of the course. "Bang for the Buck"
Obviously, the less information that you have to know the easier it will be to pass the course. Some certifications pass almost everyone that takes the course. The quality is assessed on personal contact with the members and ties in closely with reputation. Certifications that provide as much information as possible to enhance their learning will earn a higher ranking. ie. free courses for their members, database of articles and exercises etc.